Tour Haunted Lafayette Square on this Ghost Tour in DC. Ghost Story Tour runs in October of 2018. contact Natalie about a private ghost tour (year round except: December, January and February). 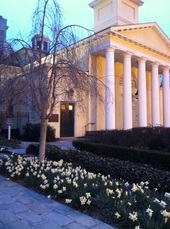 Tour meets only in October at 16th and H Streets NW (next to St. John's Church) Tour Time is 7:30pm. Wear comfortable shoes and dress warmly. The ghosts don't feel the cold but you will! 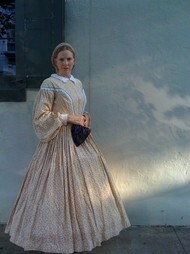 Ghost Story Tour can also be done as a private tour. See the custom tours page for more detail on private tours. For Over Two Hundred years, Washingtonians have been encountering strange things in their historic homes. We choose to bring you the tales of Lafayette Square, long said to be the most haunted of all the City's squares. Take a haunted walk in Lafayette Square, Learn about DC's ghosts with your ghostly guide, hear stories, meet spirits, and take home a sweet treat! Ghost Story Tour can also be done as a private tour. See the custom tours page for more detail on private tours. 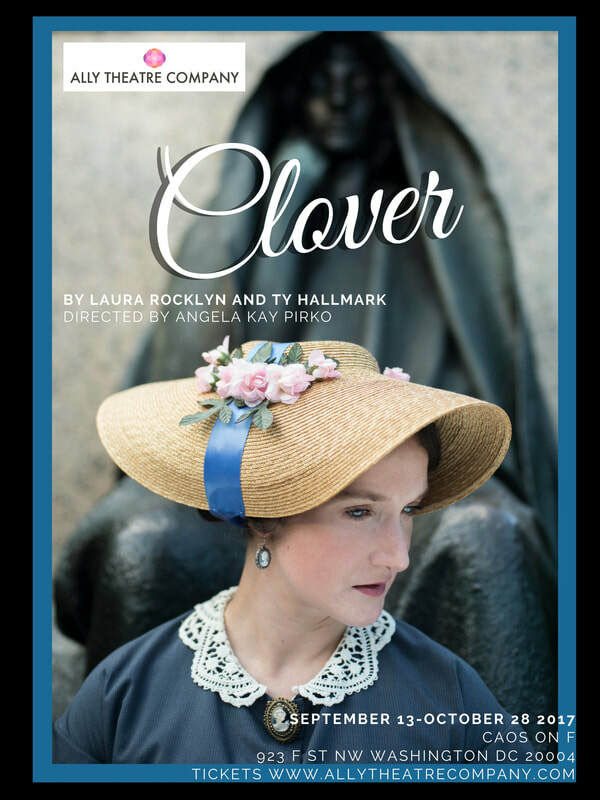 Laura Rocklyn's portrayal of "Marian Hooper Adams" inspired her to write a play about "Clover" (with Ty Hallmark) which was produced by Ally Theatre in 2017! You can reach St. John’s by car or by public transportation (Metro or bus). .
St. John’s is located at the corner of 16th and H streets in Northwest Washington, DC, directly across Lafayette Park from the White House. 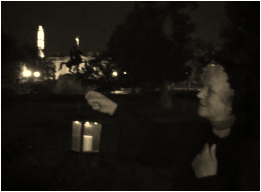 The first Ghost Story Tour of Washington was...indoors! Yes, it's true. It began in 1998 at the Historical Society of Washington's original site, the Christian Heurich House Museum. It was a big success and eventually spread to other historic houses (Octagon, Decatur House and Sewall-Belmont). 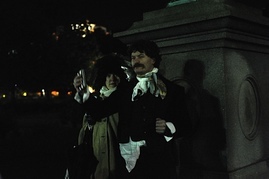 By 2000, we added a tour of Lafayette Square as part of the ghostly fun. Here's a story on an early Ghost Story Tour from Washington City Paper! Ready for All Hallow's Eve? 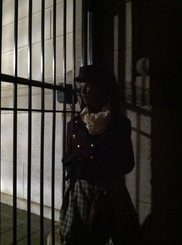 Want to meet Ghosts on a Ghost Tour in DC? Start with a thrilling alternative to the usual "hack and slash" movies and bar hops. Haunted Washington DC awaits you. The Ghost Story Tour of Washington will lead you through Washington's most haunted locale, Lafayette Square Park, with an entertaining interactive production featuring the specters rumored to haunt it.